Sick of your pine tree or palm tree? Arrange with Sydney Tree Removals to come out to the Werrington County so we can calculate your pine tree removal cost, or palm tree removal cost. We provide free tree removal quotes for those who have council tree removal permit approval or council tree pruning permit approval. 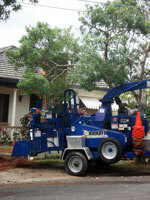 For your tree services throughout the Werrington County contact Sydney Tree Removals to have your trees removed safely! We are qualified arborists who work in the Werrington County using the latest techniques and equipment to ensure that your Werrington County tree and stump removal service is a success. We work confidently at any height, in confined spaces, near power lines, or over buildings and near structures. Our training enables us to lower branches over houses and pools in ways not to damage infrastructure. Our qualifications permit us to operate and use cherry pickers (boom lifts). 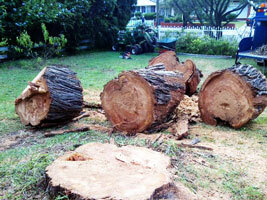 When you need professional tree services for the Werrington County, you need Sydney Tree Removals. Some of the tree services in Werrington County that are offered include stump grinding, tree removal, branch removal, palm pruning, mulching and wood chipping. 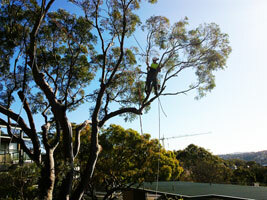 We also offer other arborist services in Werrington County such as arborist reports and advice. When organising your Werrington County tree service we can arrange to leave you fire wood, mulch, or wood chip if you desire. Just let us know when you are requesting your free tree pruning or tree lopping quote. We can also deliver mulch to Werrington County from other jobs that don't want it.